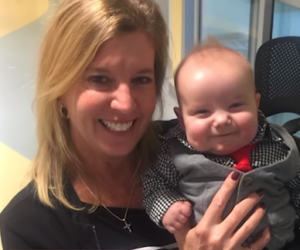 Nurse Falls In Love With Sick Baby Boy, Then Gets Life-Changing Call From His Parents. Putting a child up for adoption is a hard, painful decision. It means admitting you can’t provide for your little one the way they deserve, no matter how much you love them. For some parents, the financial burden caused by unanticipated health issues is simply too great. Such was the case for the family of a baby boy who was born with a congenital heart defect. 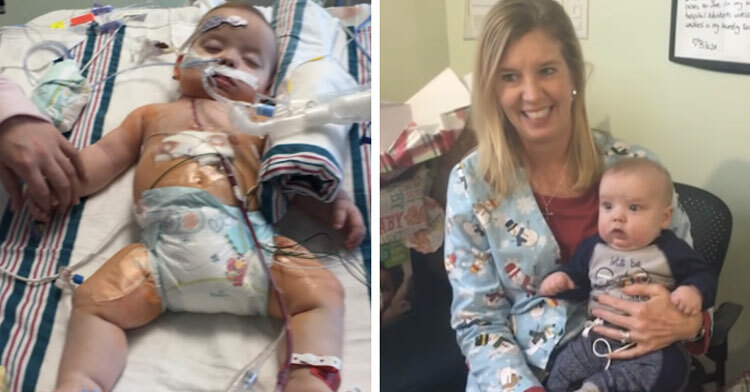 The boy’s parents couldn’t afford his medical bills, but thanks to an angel of a woman, they now know their son will always get everything he needs. 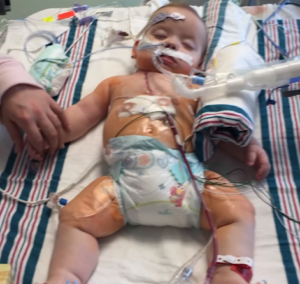 One-year-old Blaze has hypoplastic left heart syndrome, which affects normal blood flow through the heart. The left side of the vital organ does not form correctly during pregnancy. Blaze had his first surgery at only three days old. The next came just months later. He will eventually have to go through another surgery and may need a heart transplant down the road. 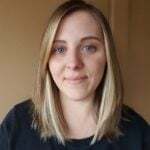 Angela Farnan, a primary charge nurse at OSF Children’s Hospital of Illinois, has been there every step of the way. 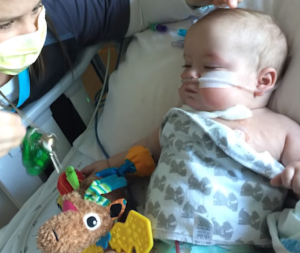 She’s spent years taking care of babies in the ICU, but developed a particularly special bond with Blaze. She even agreed to become his short-term guardian when traveling became too expensive and difficult for his parents, who live far from the hospital. Angela and her husband, Rick, grew so attached to the little boy that they didn’t know how they’d handle giving him back. But on March 20 last year, the Farnans got the most amazing news of their life. Through tears, Blaze’s biological mother asked if they’d adopt her son. On June 8, Angela and Rick officially became Blaze’s mom and dad — and parents for the first time as well. 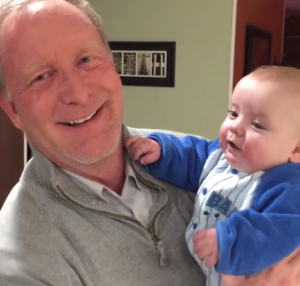 They couldn’t be more grateful to their son’s biological parents for giving him a better shot at a healthy life. “I really feel that he has blessed our lives,” Angela added. “He’s full of joy. His smile lights up the room.” Congratulations, Angela and Rick! It’s clear you both love Blaze so much. It must have been such a bittersweet experience for Blaze’s biological mom and dad to hand him over to someone else. They miss him, of course, but choosing what was best for him despite the hurt was incredibly selfless. 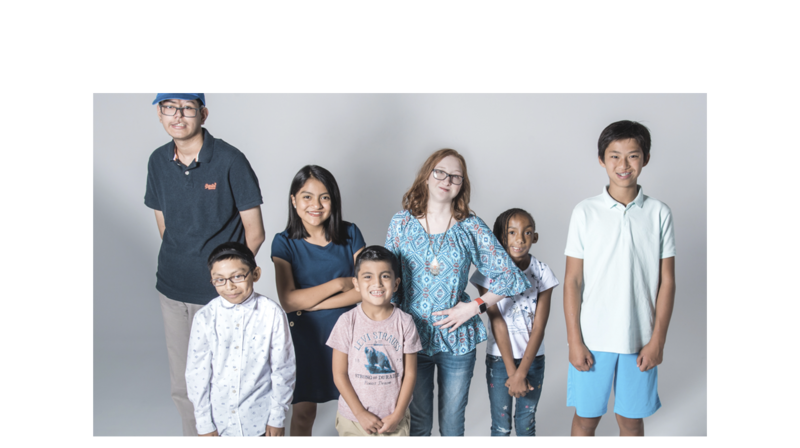 Learn more about the happy new family in the video below, and share to show support for everyone involved.